18. אָמַר לוֹ מַמְרֵא: הֲזָכַרְתָּ אֶת הַיּוֹם שֶׁזָּרְקוּ אוֹתְךָ הַכַּשְׂדִּים לְתוֹךְ כִּבְשַׁן הָאֵשׁ, וְאוֹתוֹ רָעָב שֶׁעָבַר עַל הָעוֹלָם, שֶׁכָּתוּב (בראשית יב) וַיְהִי רָעָב בָּאָרֶץ וַיֵּרֶד אַבְרָם מִצְרָיְמָה, וְאוֹתָם מְלָכִים שֶׁרָדְפוּ אַחֲרֵיהֶם וְהִכִּיתָ אוֹתָם, וְהַקָּבָּ”ה הִצִּיל אוֹתְךָ מֵהַכֹּל וְלֹא יָכֹל אִישׁ לַעֲשׂוֹת לְךָ רַע? קוּם וַעֲשֵׂה אֶת מִצְוַת רִבּוֹנְךָ! אָמַר לוֹ הַקָּבָּ”ה: מַמְרֵא, אַתָּה נָתַתָּ לוֹ עֵצָה לְהִמּוֹל, חַיֶּיךָ אֵינִי מִתְגַּלֶּה עָלָיו אֶלָּא בַּפַּלְטֵרִין שֶׁלְּךָ. וְזֶהוּ שֶׁכָּתוּב בְּאֵלֹנֵי מַמְרֵא. (עַד כָּאן הַתּוֹסֶפְתָּא). 19. רַבּוֹתֵינוּ פָּתְחוּ בַּפָּסוּק הַזֶּה, (שיר א) לְרֵיחַ שְׁמָנֶיךָ טוֹבִים שֶׁמֶן תּוּרַק שְׁמֶךָ וגו’. שָׁנוּ רַבּוֹתֵינוּ, נְשָׁמָה זוֹ שֶׁל בֶּן הָאָדָם, בְּשָׁעָה שֶׁעוֹלָה מֵהָאָרֶץ לָרָקִיעַ וְעוֹמֶדֶת בְּאוֹתוֹ זֹהַר עֶלְיוֹן שֶׁאָמַרְנוּ, הַקָּבָּ”ה מְבַקֵּר אוֹתָהּ. 20. בֹּא תִשְׁמַע, אָמַר רַבִּי שִׁמְעוֹן בַּר יוֹחַאי, כָּל נִשְׁמַת הַצַּדִּיקִים, כֵּיוָן שֶׁעוֹמֶדֶת בִּמְקוֹם שְׁכִינַת הַכָּבוֹד, שֶׁרְאוּיָה לָשֶׁבֶת, הַקָּבָּ”ה קוֹרֵא לָאָבוֹת וְאוֹמֵר לָהֶם: לְכוּ וּבַקְּרוּ אֶת פְּלוֹנִי הַצַּדִּיק שֶׁבָּא, וְהַקְדִּימוּ לוֹ שָׁלוֹם מִשְּׁמִי. וְהֵם אוֹמְרִים: רִבּוֹן הָעוֹלָם, לֹא רָאוּי לְאַבָּא לָלֶכֶת לִרְאוֹת אֶת הַבֵּן. הַבֵּן רָאוּי לִרְאוֹת וּלְהֵרָאוֹת וְלִדְרֹשׁ אֶת אָבִיו. The Zohar explains here that when the soul ascends to the upper levels, her good scent draws the Holy One to visit her. Rabbi Shimon reveals that every soul of a tzadik (righteous person) receives the Light of Chokmah when standing in the presence of the Holy One Bless be He. God then calls the patriarchs that are the three columns of the Tree of Life and asks them to visit the Tzadik and bring a message of peace, ‘Shalom’, from him. The patriarchs say that it is not proper for God to send blessing from the Father (Light of Chokmah) before the son (Zeir Anpin, Tzadik) comes to his father. Rabbi Ashlag explains that the soul needs to come with desire and demand so it can have a vessel for the supernal Light. This verse is included in prayers with aspect of beginning. We recite the entire chapter of ten verses at the beginning of Rosh Hashanah service while the Ark is open. It is a powerful connection and as the Zohar explains, we face Jacob that connects us to the central column. The souls of the Tzadikim bring our desires and demands in front of God, and without them we have to be righteous as they are. It’s a good place to announce that the DailyZohar just published a special app about Tzadikim. This app will show the Tzadik or Tzadikim on their death anniversary, Hillulah. 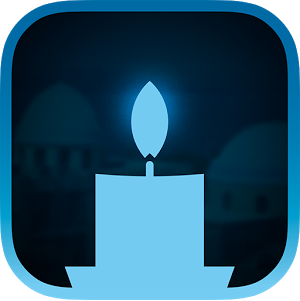 The app shows information about the Tzadik with option to light a virtual candle with a wish for health, success or for soul elevation for a family memeber. To make a connection, light a candle for the tzadik at home. 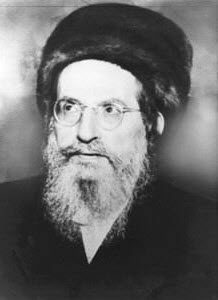 Read the information to make better connection with the Tzadik. Then make your prayer to God, not to the Tzadik. Ask to fulfil your wishes by the merits of the Tzadik that you stand next to him, by the candle you just lit. The Tzadikim app is 100% free. No annoying and irrelevant ads. It was designed and developed by Screen media, http://screen.com.ve/, for the DailyZohar using our Tzadikim database. It is currently available on Google play store for Android devices and in the process of approval on iTunes for iOS devices. Please install and give it 5 stars rating not just because it is free but because it is great and you appreciate it. If you have pictures from Tzadkim sites, please email to Tzadikim@dailyzohar.com. We will add picture galleries for Tzadikim so everyone will have the experience as they visited the site of the Tzadik. Please feel free to email us suggestions for improvement and share ideas for this app or any other that you’d like us to produce.